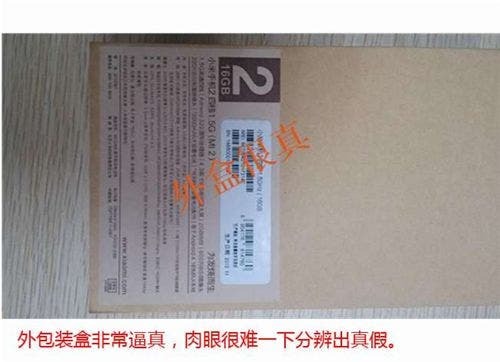 How to tell if your Xiaomi M2 is fake! 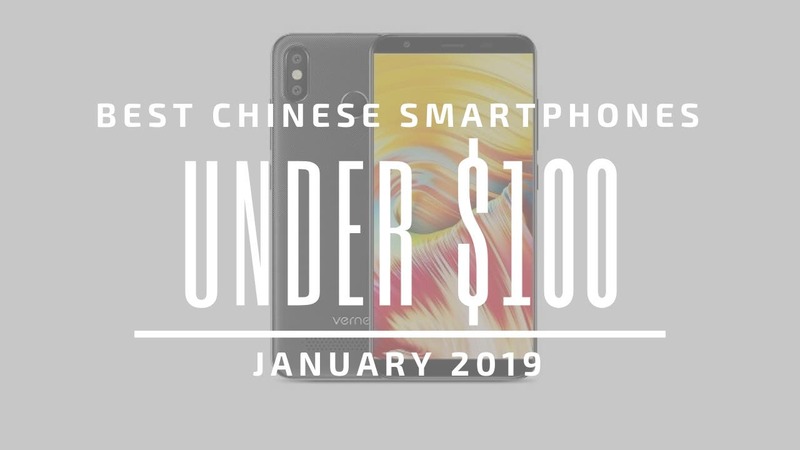 Shanzhai and cloned phones are nothing new in China, but what is new is seeing clones of Chinese brands clones so good you can’t tell them from the real thing until it’s too late! 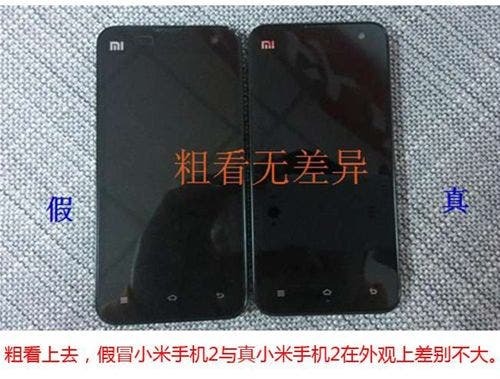 We’ve seen first hand at just how convincing a knock-off Xiaomi M1S can look, but with the companies continued popularity and current Xiaomi M2 shortages, small Chinese phone makers have turned their hands to producing Xiaomi M2 clones! Generally we can tell a fake or clone phone from a mile away and it’s usually the low-price and high specs that give the game away, however the problem Xiaomi customers are facing is that real Xiaomi phones are high-spec, low-cost devices. 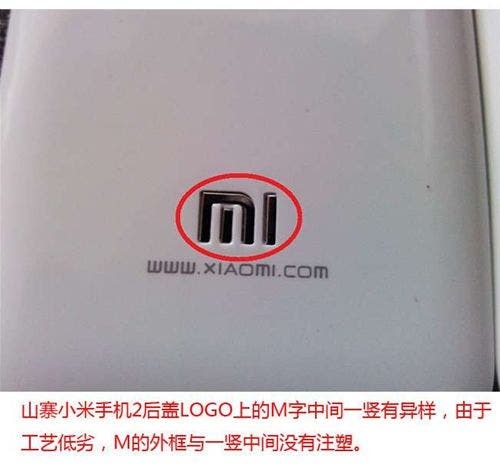 But worst still is the fact that most consumers haven’t seen a real Xiaomi M2 and have nothing to compare a possible fake to! With growing complaints on Chinese online auction sites such as Taobao, Chinese tech site CnBeta have decided to put together these comparison photos of the real Xiaomi M2 and the fake, as you can see the knock-off could easily be passed off as real! 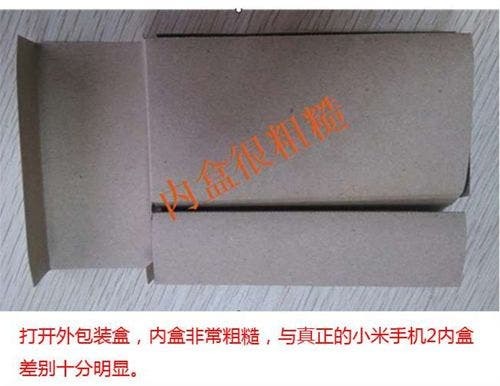 Starting with the packaging of the Xiaomi M2 clone, it’s near identical to the real thing with no real way to tell it apart from a genuine box.The package is almost the same. Xiaomi’s use of recycled cardboard makes them unique and keeps costs low, but it also helps clone makers from passing their phones off as the real thing. 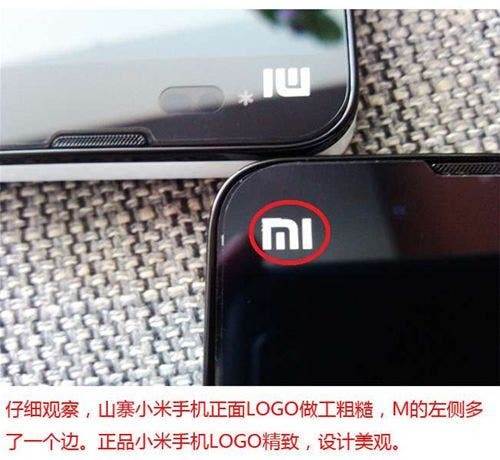 As you can see the real Xiaomi phone has much better printing for the logo and also features a star, where as the fake has rough printing and no star. Unfortunately this will hardly help if the person running the printing machine decides to put a little more effort in! For the rear logo it’s only poor quality which would give the game away and nothing which you would pick up if you just glanced at the logo. On the inside things are a little easier to spot, but again only if you know what to look for. The fake (on the left) for example is missing the emergency ROM flashing connections (two points either side of the sim). The real phone also features a black plastic sticker and non-standard head screws. 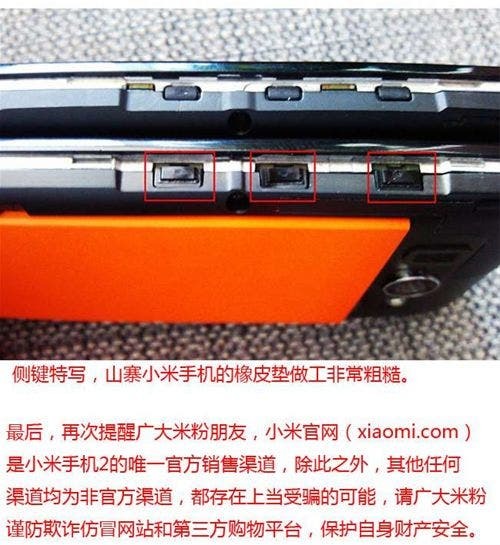 It’s also plain to see that the real Xiaomi has a larger camera sensor and better quality rear flash. 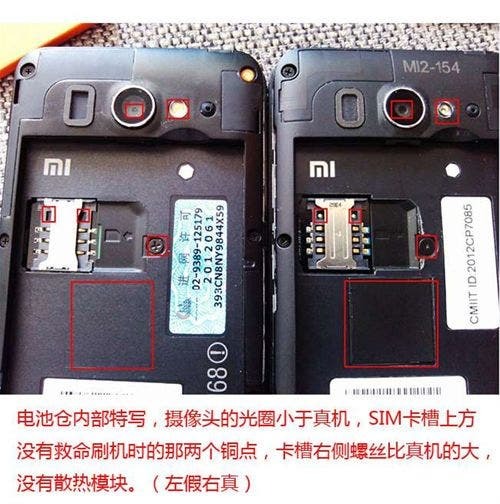 This time the real M2 is above and we can see that the volume buttons of the fake are of poor quality and feature bad moulding. Some fakes have even been known to turn up with the rubber under the buttons missing. These tips are just ways of telling the real from the fake from the external appearance of the phone. There are also ways to tell from teh OS and performance too, which you can check out here. Kind of Weird Guy. Just too many hobbies that cannot balance them all. Searching Tech. and Gadget stuffs ,Photo-shooting, Playing Violin. Love playing mobile devices no matter what their brand name is.